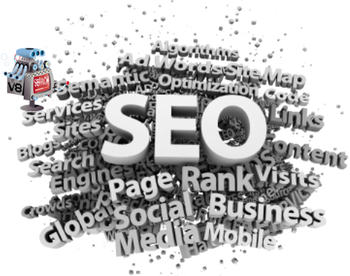 How do You Get Web Pages Ranking High on the Search Engines? I'm curious as to how I can get my website ranking high on search engine results. Right now, if I do a search of any of the keywords that I have used on my web pages I have a hard time finding my web page listed on the major search engines like Google, Yahoo or Bing. Well, I can find a few of my pages but they are buried deep in the results; like 10 to 20 pages in. What can I do to get more of my web pages ranking high on search engine results- like right on the first page of the results? I have about 16 pages on my site so far and have a few more planned. I have carefully researched each keyword that I have selected to be sure that are competitive but not too competitive. My site is about 3 months old and it is only getting an average of 25 or so visitors a day. I would like to do whatever I need to in order to improve traffic and to get more people to find my site. From what you report, your website is very young and quite small. Your first focus should be to build more content that creates more web pages. Then build even more content, for even more web pages. The reality is; the bigger your site, the more keywords you will use in your niche, the more traffic you will get, the more search engine recognition, the better rankings and so forth. Have you heard the adage that "Content is King?" The more valuable your content is to your visitors, the better your website will do. As you build content, you will also want to focus on the strategies to build back links to your site as well. Don't limit yourself to just one link building strategy, use several! Article marketing, submission to niche directories, participation on niche related forums that allow a link in your profile, make comments on blogs related to your niche that allow a link to your website, answer Yahoo Questions, build a Squidoo page, write a few WikiHow's, and so forth. Over time, you will gradually build links, then the Search Engines will continuously rank your website higher and higher on their search results.